Happy, happy Monday to ya! 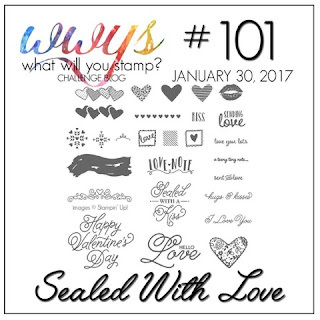 This week's WWYS challenge is Sealed With Love. This bundle has so many fun elements to it that it was really fun to play with. 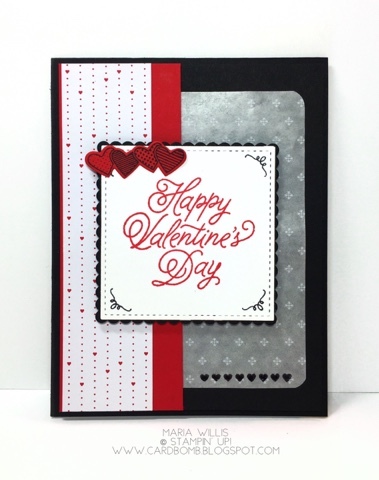 I also used the DSP that pairs with this set and piece of the beautiful glassine sheets. I love these adorable little curly-ques that I used to embellish the corners of the sentiment piece. Thanks for stopping by today! I'll see you soon! 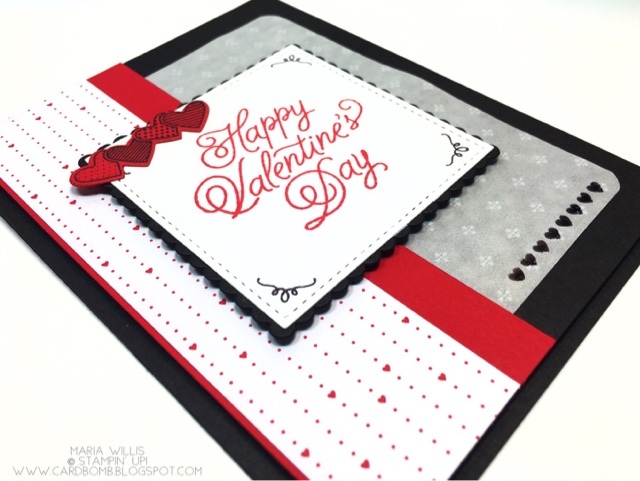 If you've got a few minutes head on over to the What Will You Stamp Challenge blog and check out what the rest of the design team has made. Wow - the Glassine shows up so well on the black. I really like this contrast. Great card Maria!!! You did it again, Maria. Love it!